A few weeks earlier, my father had been out driving with family around the Karoo. He, like me, has a habit of following opportunities for exploration, adventure and new findings. Anyway, while driving a long track, he found huge gates and high anti poaching security. On his return knowing we would be travelling just a few weeks later, he said "go check out Mount Camdeboo Nature Reserve for me." So, upon my fathers instruction I got in touch with the great team at Mount Camdeboo Nature Reserve. I want to say unfortunately but it's not (but it is (oh I'm so conflicted)) we couldn't stay at the lodge because we were just a short drive away for a few days. Although, on our next visit I might try to steal away a night with family and take my Grandfather. The guests who we met gushed over their beautiful rooms and the excellent hospitality of staff. 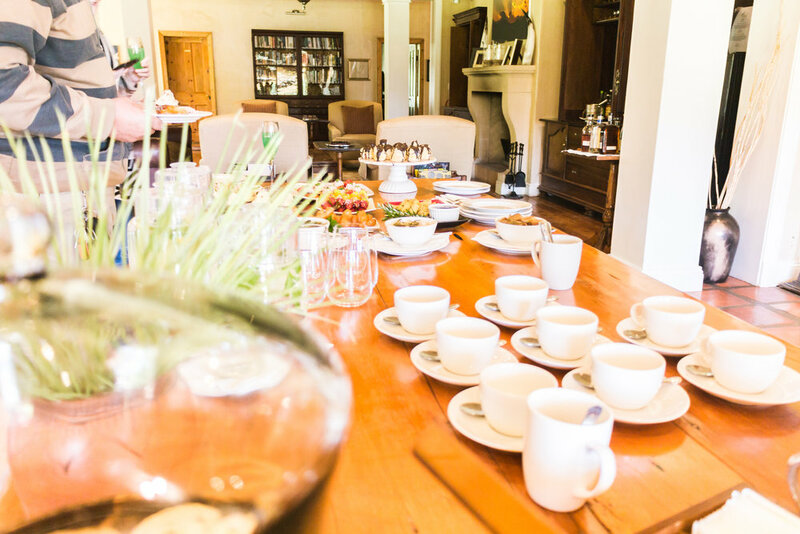 Upon arrival for an afternoon game drive, we were met with delicious mimosas and a wonderful home cooked lunch in their stunning lodge. The food was inspired by local dishes, such as karoo lamb and baboti rolls. We took our plates out onto the lawns in the warm sunshine, chatting to new friends and finding out so much about the great conservation work that Camdeboo champion. Well fuelled we were met by the guide for the afternoon, a fantastic Ranger called Luke with a great sense of humour and insightful knowledge of the land and game. There were seven of us in total, four from our party and three guests. We chuckled as we clambered into the Land Rover, with the youngest at the back "Stacy and I." There we pulled out the cameras to shoot in the only acceptable way.